All too often, art fairs feel like prohibitive exercises held for the sole enjoyment of a privileged few. Not so where Sydney Contemporary is concerned. The newly-annual event (thanks to some persistent pressure from artists, galleries, collectors and art lovers alike) will return in September this year with more than 80 Australian and international exhibitors showcasing the work of established and emerging artists alike from throughout the Asia Pacific region alongside a program of talks, performances and events. Another aspect of the fair that distinguishes it from its contemporaries, so to speak, is its Installation Program – a series of large-scale and site specific artworks that will be installed across the Carriageworks precinct created by 15 Australian and international artists working across a diverse array of mediums, including painting, sculpture, drawing, ceramics and video. Curated by Rachel Kent (Chief Curator, Museum of Contemporary Art Australia) and Megan Robson (Assistant Curator, Museum of Contemporary Art Australia), the exhibition will showcase the work of mid-career artists like Betty Kuntiwa Pumani, who will be creating a five-metre long diptych painting; as well as Japanese artist Maio Motoko, who will be staging traditional Butoh (a form of Japanese dance theatre ) performances and intimate tea ceremonies throughout the duration of the fair. Emerging artists, including Lara Merrett, whose billowing pre-painted canvasses explode notions of space, will also exhibit alongside the work of Japanese collective teamLab, whose digital artwork will be created in real time. 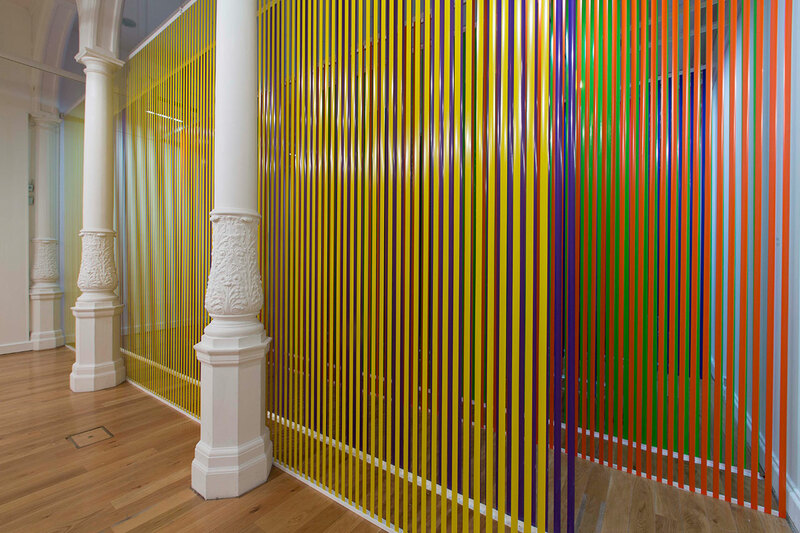 Another artist, Nike Savvas, will be one to watch out for. Her immersive installation work, alongside those of Merrett, at Artspace’s Superposition of three types earlier this year was a fascinating interrogation of the malleable dynamic that exists between the artwork, the fluctuating perspectives of its viewer and the environment in which it takes form. Mark your diaries. Sydney Contemporary runs from Thursday September 7 until Sunday September 10 at Carriageworks. You can find out more information here.